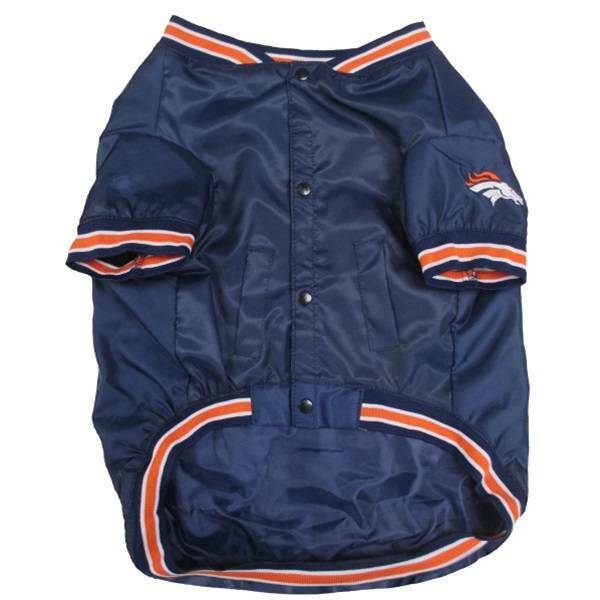 Official NFL licensed pet jacket with embroidered team logos, ribbed trim, and a nylon shell. Perfect for watching any game on the sidelines! 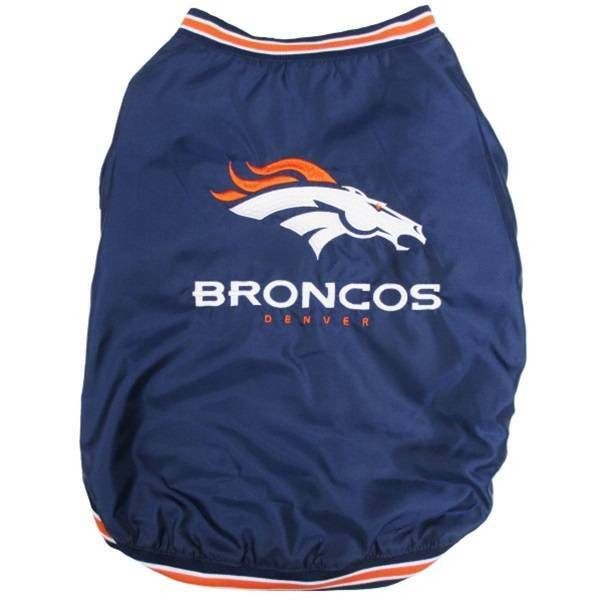 Official NFL licensed pet jacket with embroidered team name and logo on back and embroidered team logo on sleeve.